few weeks back only to find out that the deadline had already passed. Well, ok, no problem. I’ll just fight the tens of thousands of people on the public days and check it out. Nope, that didn’t happen either! Sometimes plans don’t quite work the way we hope, but take courage! Here’s a few pics from the Expo last year. The latte art was next level! It was pretty incredible to see milk turn espresso into these intricate designs. Lovely hand pour from a local roaster. It was awesome to check out all the booths and sample the different roasts. Asia has really come a long way when it comes to a good cup of coffee. So sad I missed it this year! You can bet a reminder is already on my calendar to register in February for 2016! On a brighter note, I do have favorite roasters in the area that I will be visiting and discussing in the near future. New blog post on coffee? Better go do some “market research”. Have you ever attended a Coffee Expo in your area? Let me know in the comments below! 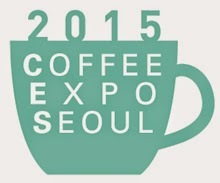 To find out more about the Coffee Expo Seoul 2015, visit their link here.